As an ever-developing nation, Singapore’s landscape is constantly evolving, and gaining traction in a society cluttered with ads and events is never easy. To reinforce its position as a vibrant and innovation hub, one-north – a 200-hectare research and business park development by JTC – sought to create a signature event to expand its appeal to the general public and bolster its purpose as a venue where communities gather for work, housing and recreational activities. 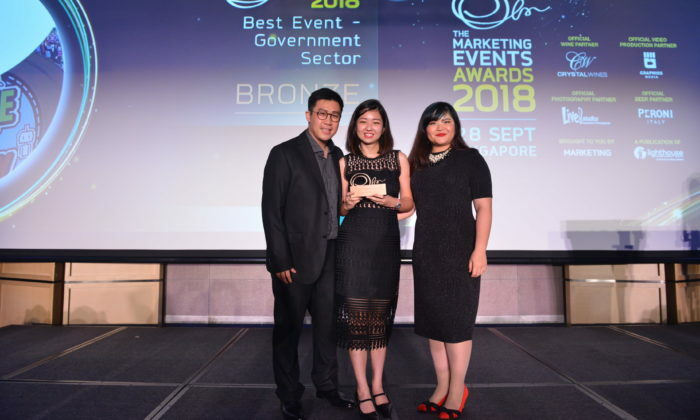 Working with agency Ape Works, here’s how one-north garnered the attention of the public and went on to win the hearts of the judges at Marketing Events Awards 2018. This post was done in conjunction with Ape Works. Set up in 1968, JTC is the lead government agency responsible for the development of industrial infrastructure to support and catalyse the growth of industries and enterprises in Singapore. Strategically located in the heart of Singapore, one-north is designed to combine world-class research facilities and business parks with educational institutes, residences and recreational amenities. JTC was challenged to develop a strategy that encapsulated the key elements of one-north. With the business park, JTC strives to create an ideal work-live-play-learn environment, which is conducive for creative minds to excel and where innovation reigns. To reinforce one-north’s position as a vibrant and innovation hub to the wider public, JTC sought to create a signature event with the aim of bringing the one-north community and the public together in a showcase of innovation and fun. The event sought to welcome the public into one-north, creating opportunities for interactions within the premises and for the public to gain insights into the one-north community. 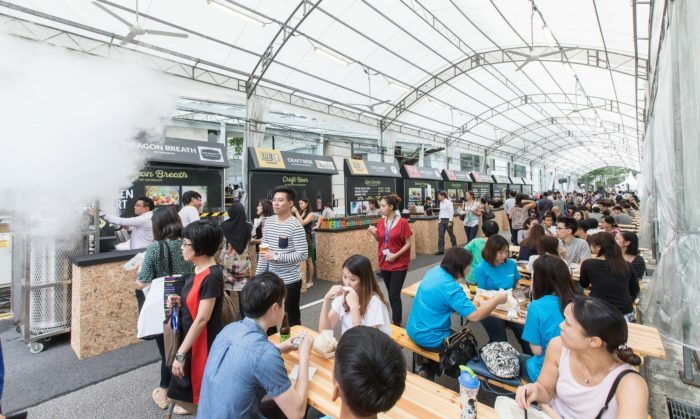 In line with one-north’s aim of creating a vibrant and innovation hub, JTC curated the event RACE.EAT.PLAY to bring innovation closer to the members of the public by showing how they could relate to the business park. JTC generated excitement within the one-north community by organising pre-event roadshows and a media showcase. These roadshows also piqued the interest of the public to find out more about the event. A soapbox race was also organised where a total of 14 teams comprising a mix of participants from one-north companies and the public participated in the race and revved up excitement further. Many were intrigued to find out more given its novelty here. The soapbox cars took off from the launchpad and navigated the 200-metre race course along Biopolis Road. The design and sturdiness of the soapbox cars were challenged with multiple obstacles and roadblocks. The Future Food Street lined the closed road along Biopolis Road and had nine mobile kitchens, kiosks and a food truck. There were three food themes to choose from: trendy, sustainable and healthy. Visitors were spoilt for choice from custom coffees printed with selfies, nitrogen desserts to colourful granola and raw foods. The treats were a feast for both the eyes and taste buds. A robotics jamming workshop induced joy to children and adults alike. 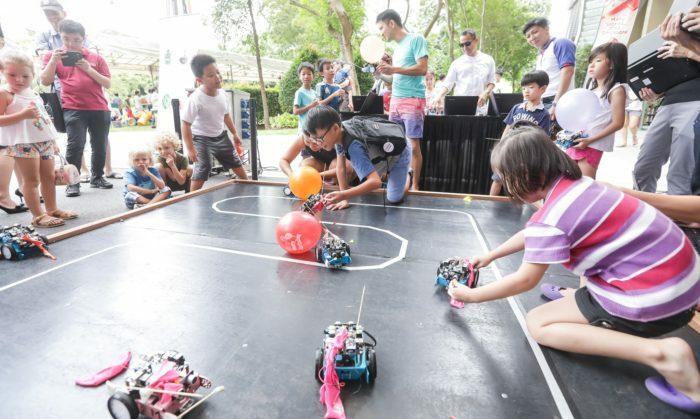 Participants enjoyed tinkering with the robots by building them, engaging in robot battles and attacking an obstacle course. Furthermore, drone-flying workshops gave participants the opportunity to test their drone flying skills in a drone cage. JTC’s objective of demystifying one-north was favourably received by successfully stirring up greater interest among the general public towards the multi-purpose business park. As a matter of fact, more members of the public attended the event in comparison with members of the one-north community. The soapbox race, for example, saw contestants turning up in eye-catching costumes. The participants brought engineering ingenuity to their creations, displayed great enthusiasm and demonstrated great showmanship during the race which cranked excitement levels among the spectators further. This was an indication the event concept was very well-received and supported JTC’s goal of enhancing one-north’s position as an innovation hub.